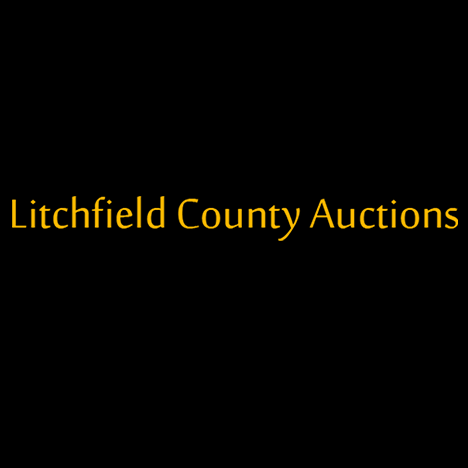 Litchfield Auctions is one of Connecticut's premier auction galleries, featuring specialized sales of Fine Art, Asian Arts & Jewelry and monthly 'Interiors' sales that include Antiques & Modern Furniture, Fine Arts & Decorations. From our spacious auction rooms in the historic town of Litchfield, nestled in the beautiful hills of Northwestern, CT, we present fresh-to-the-market property from both local estates and from further afield, including New York, New Jersey, Pennsylvania, Massachusetts, New Hampshire and beyond. With roots tracing back to 'Weston Thorn Antiques' of the 1980's, we held our first auction in 1994 and have been growing ever since. Recent highlights include the re-discovery of Paul Gauguin's 'Fleur D'ete Dans Une Goblet', 1885 and the discovery of "Oiseaux Dans Les Nids" 1951 by the Chinese/French artist Zao Wou-ki. We had the pleasure of offering property from the estate of Joan Rivers in a riotous summer sale in which nearly every lot sold and all well above pre-sale estimates. We have handled many other celebrity and prominent estates and collections over the years.